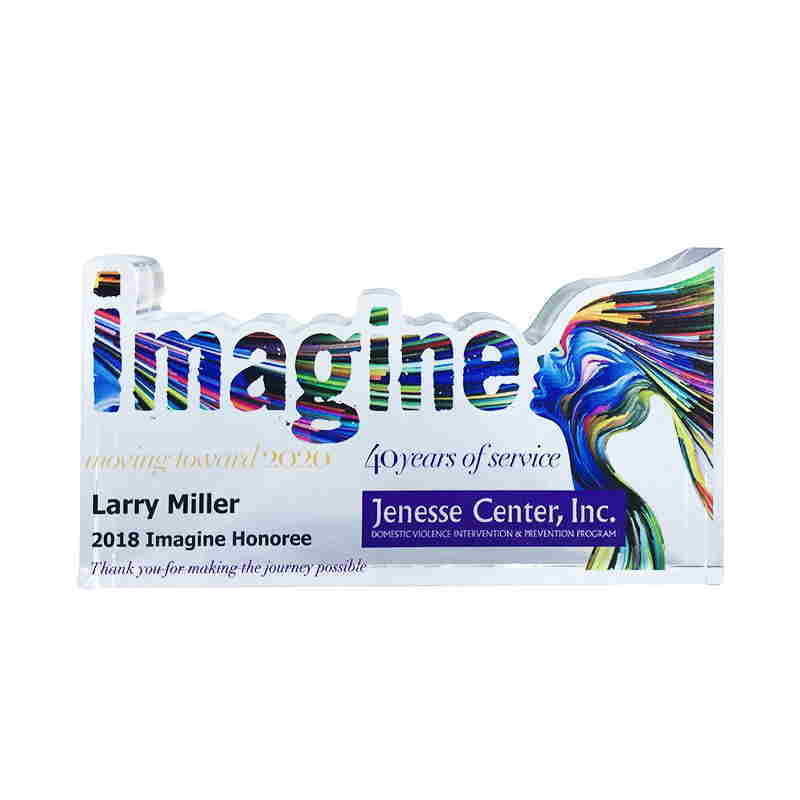 Custom crystal award honoring support for the Jenesse Center, which has been providing domestic violence intervention and prevention services to the South Los Angeles community for almost 40 years. 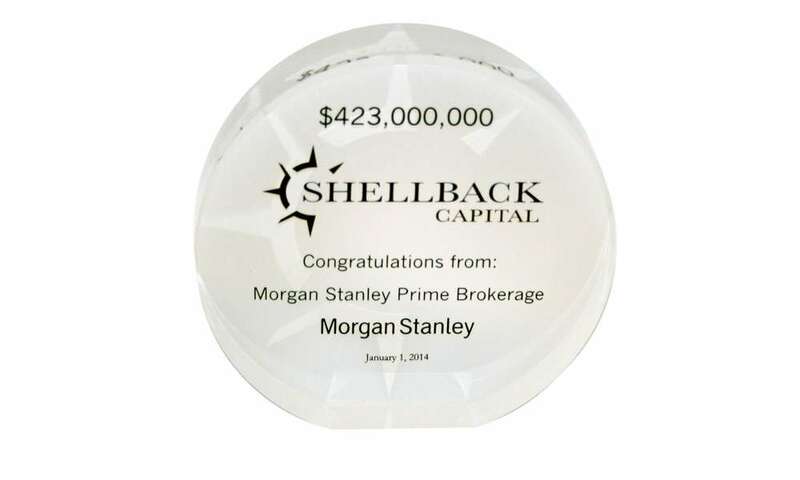 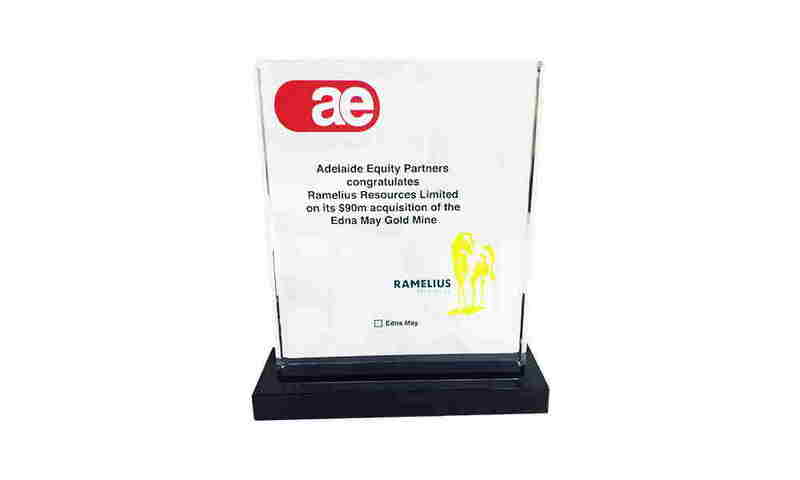 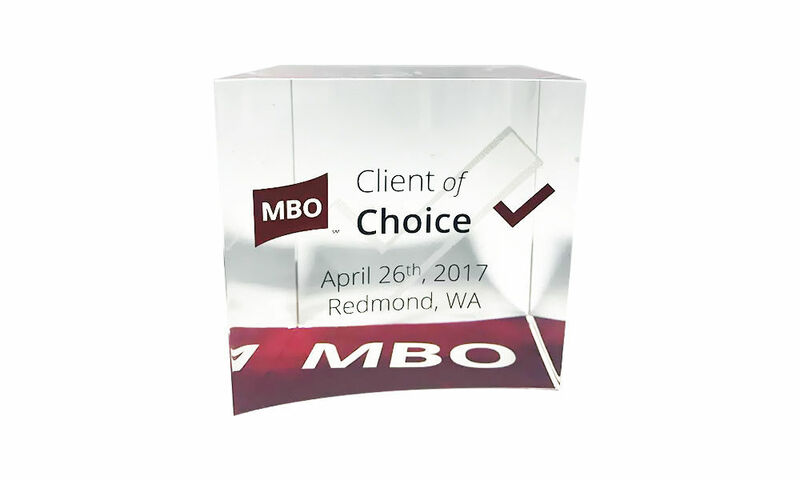 Custom crystal commemorating a corporate acquisition. 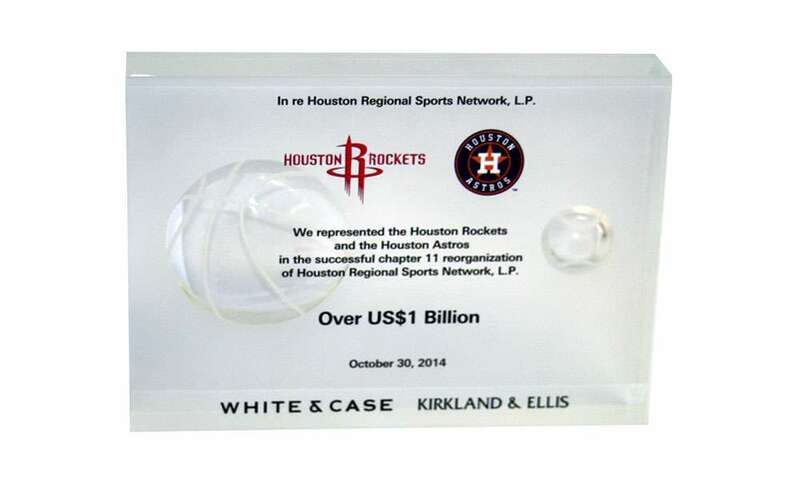 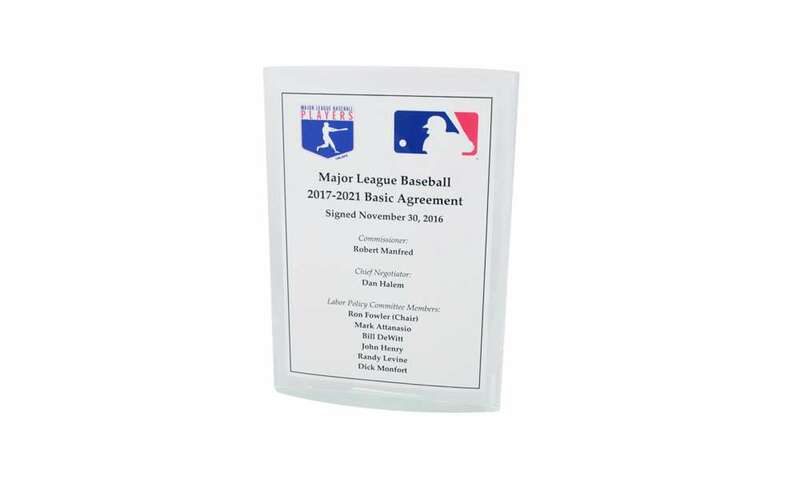 Custom Lucite commemorating legal work performed on behalf of two professional sports franchises, the Houston Astros and the Houston Rockets, in the successful bankruptcy reorganization of a regional sports network. 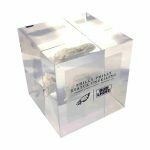 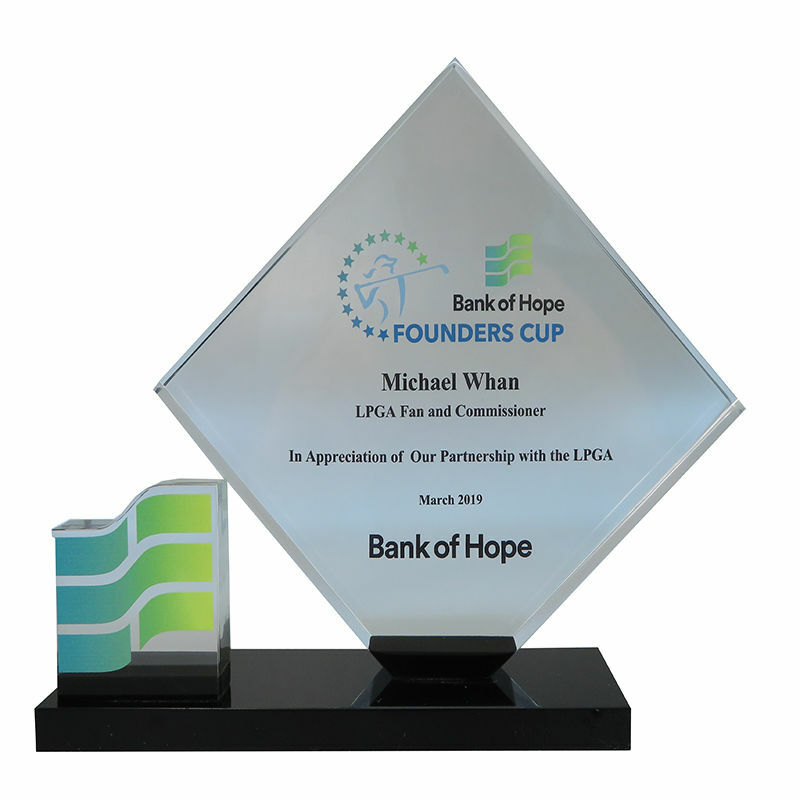 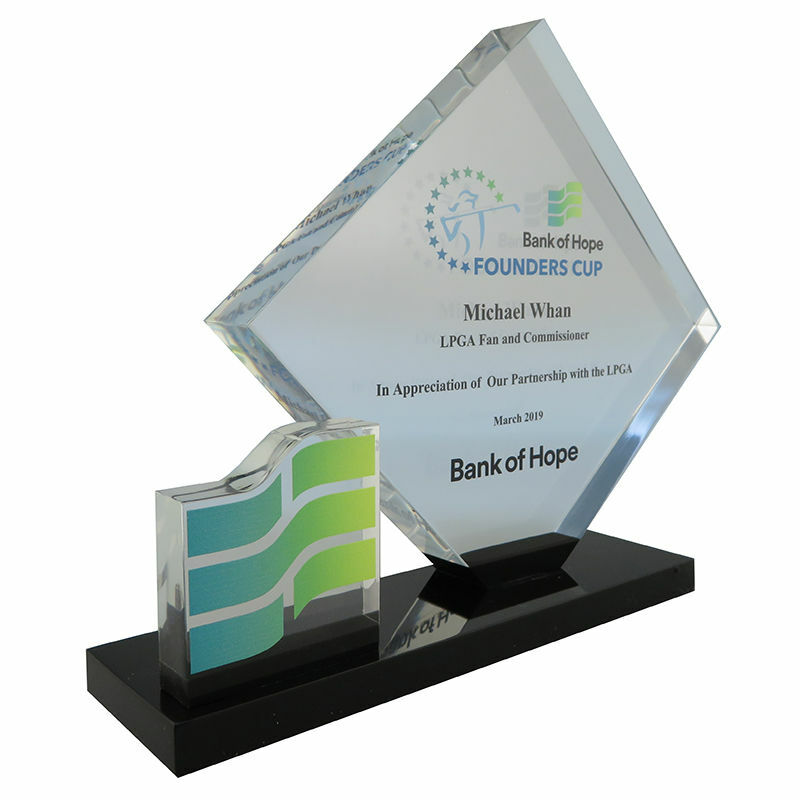 Custom Lucite client appreciation gift honoring excellence in commercial real estate. 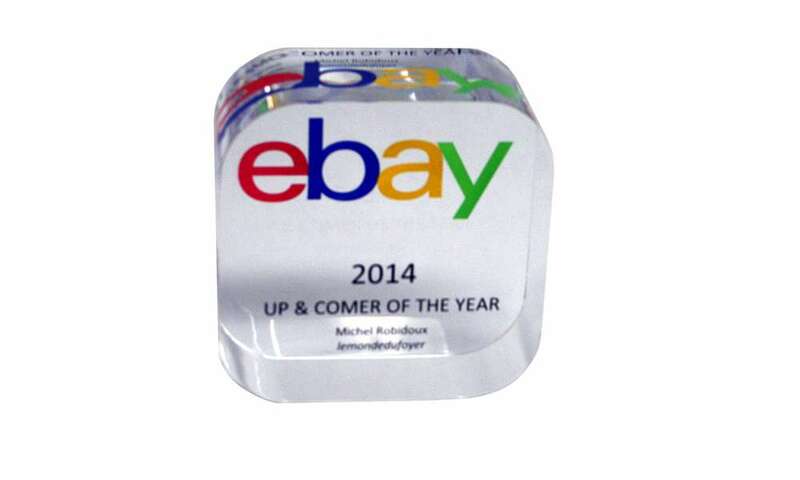 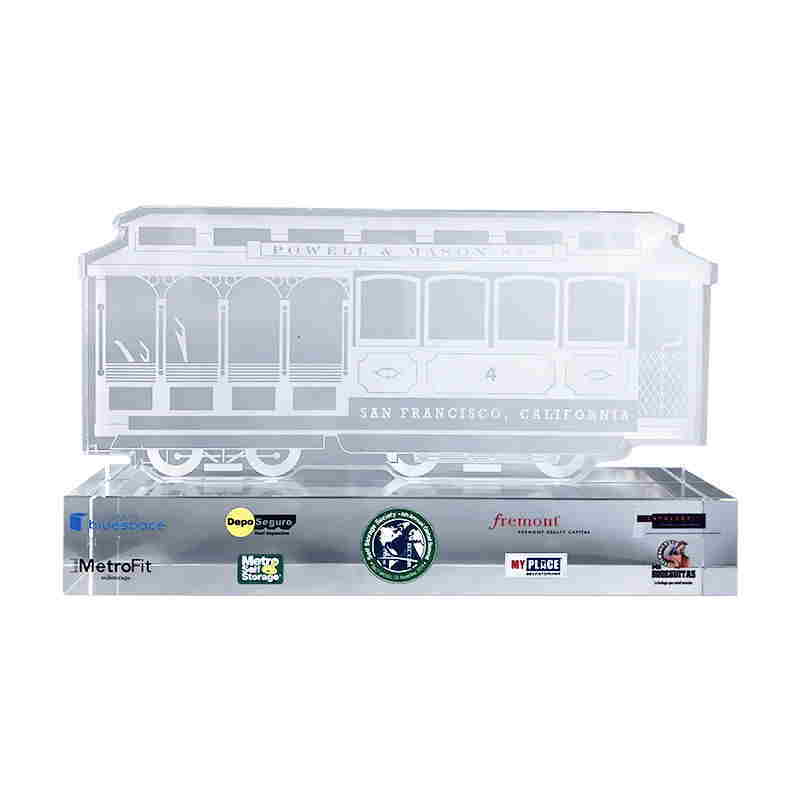 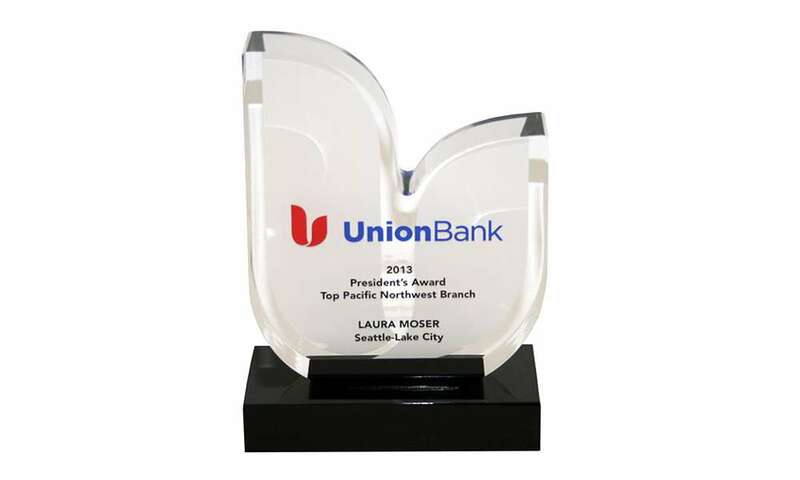 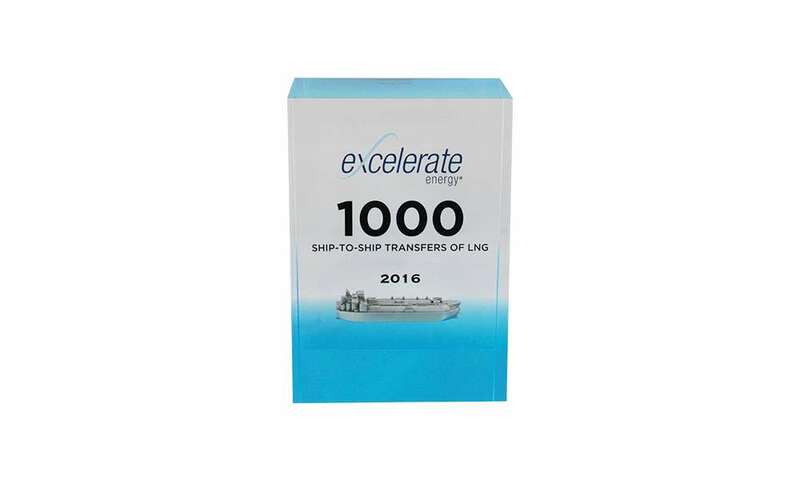 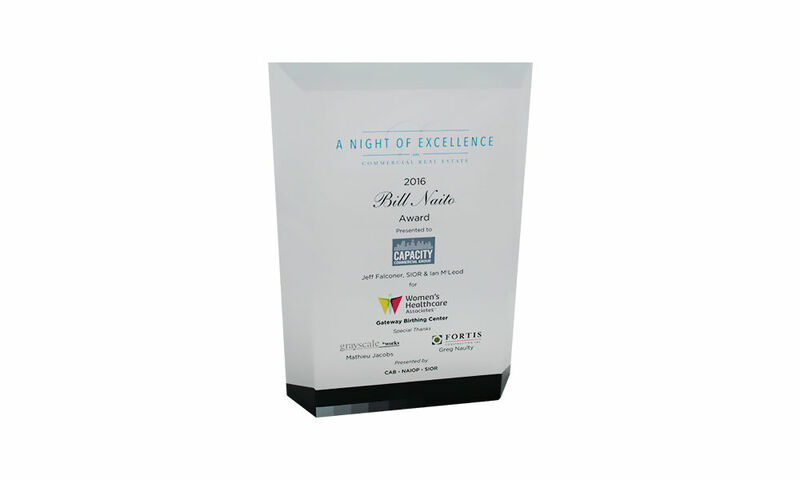 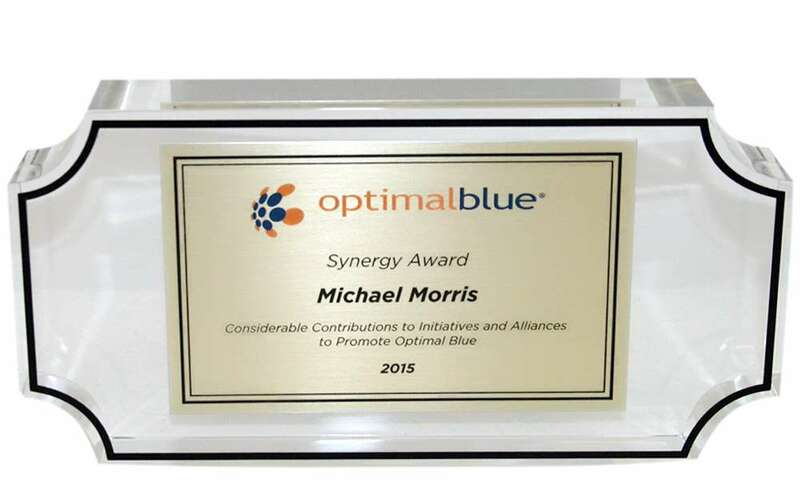 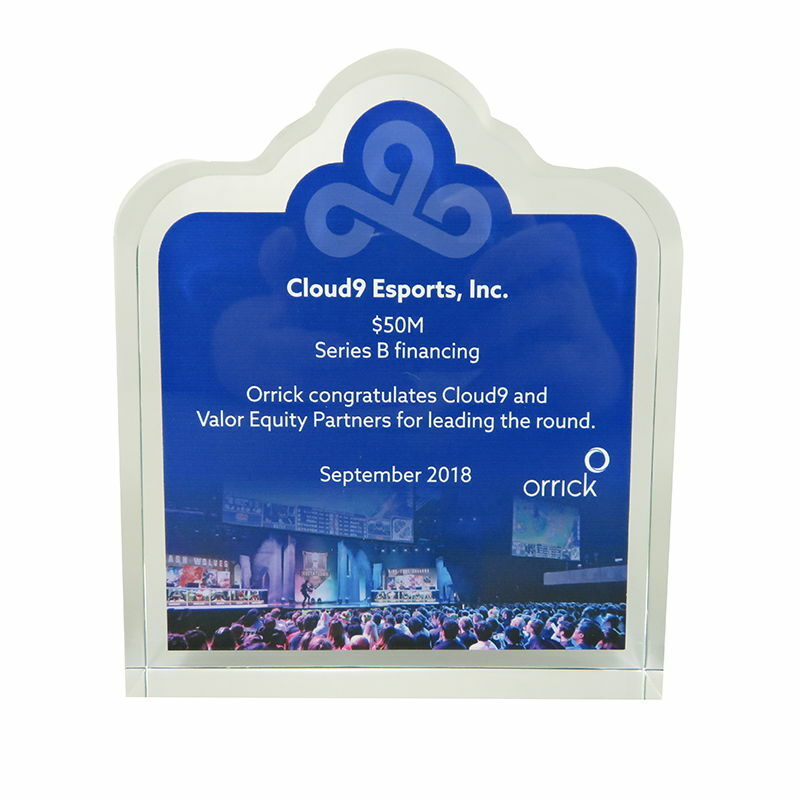 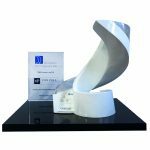 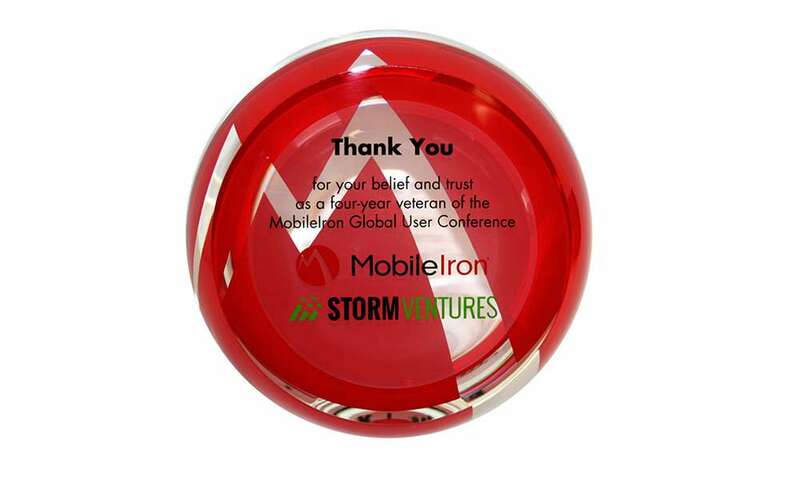 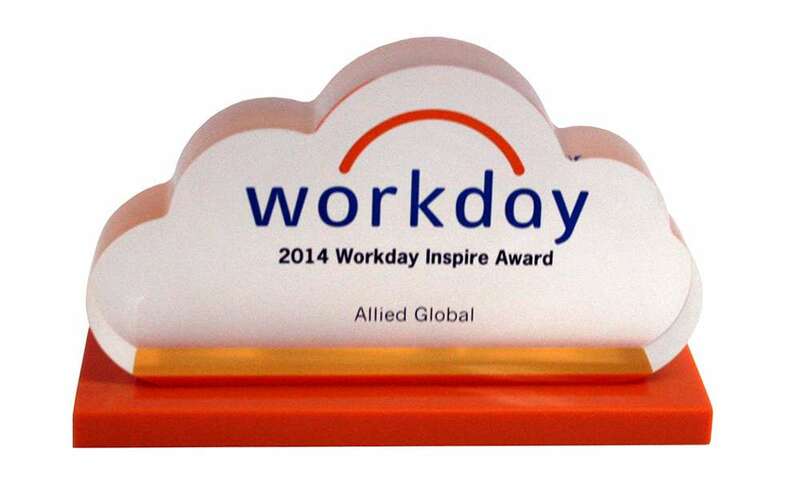 Custom Acrylic award presented annually by Workday in recognition of inspirational use of its products. 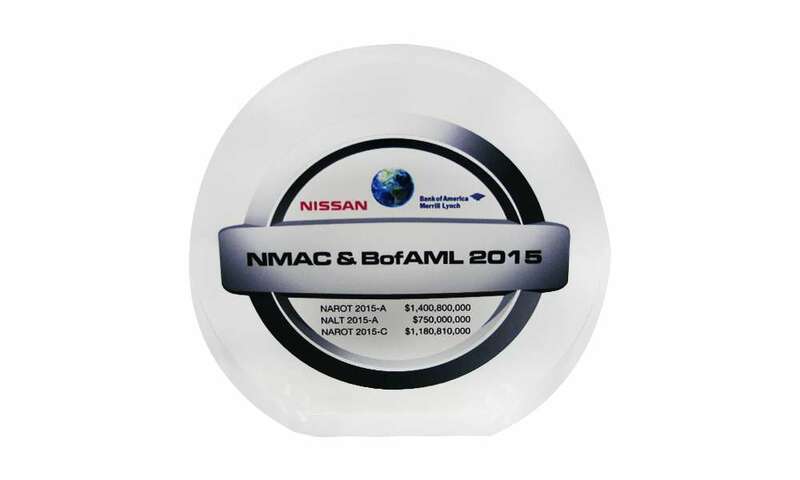 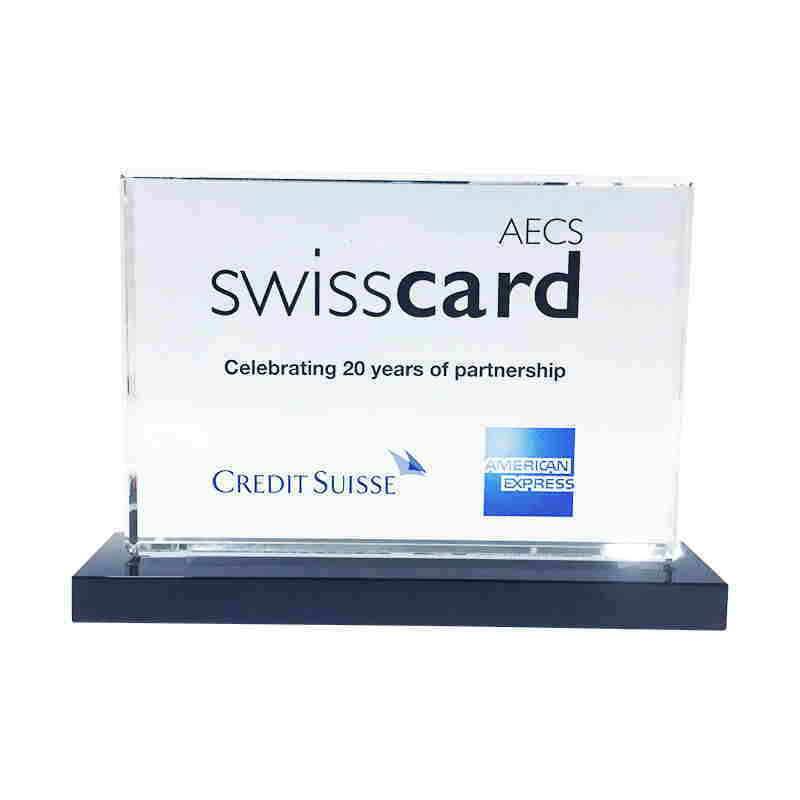 Custom Lucite client recognition piece celebrating the relationship between Bank of America and Nissan. 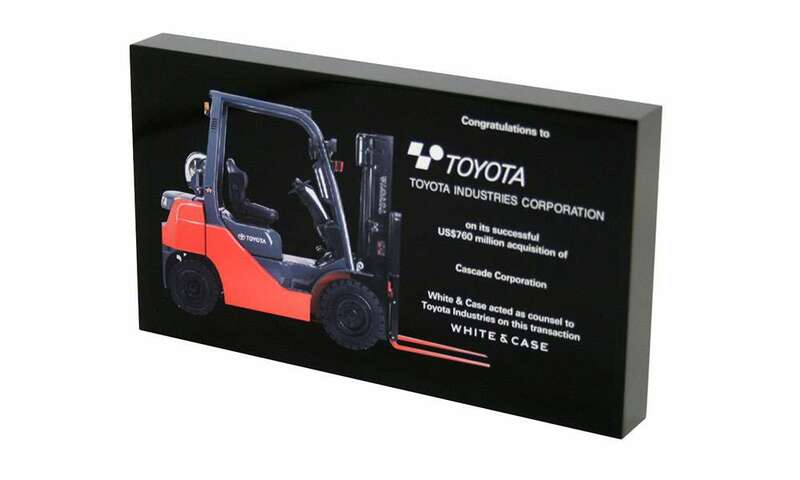 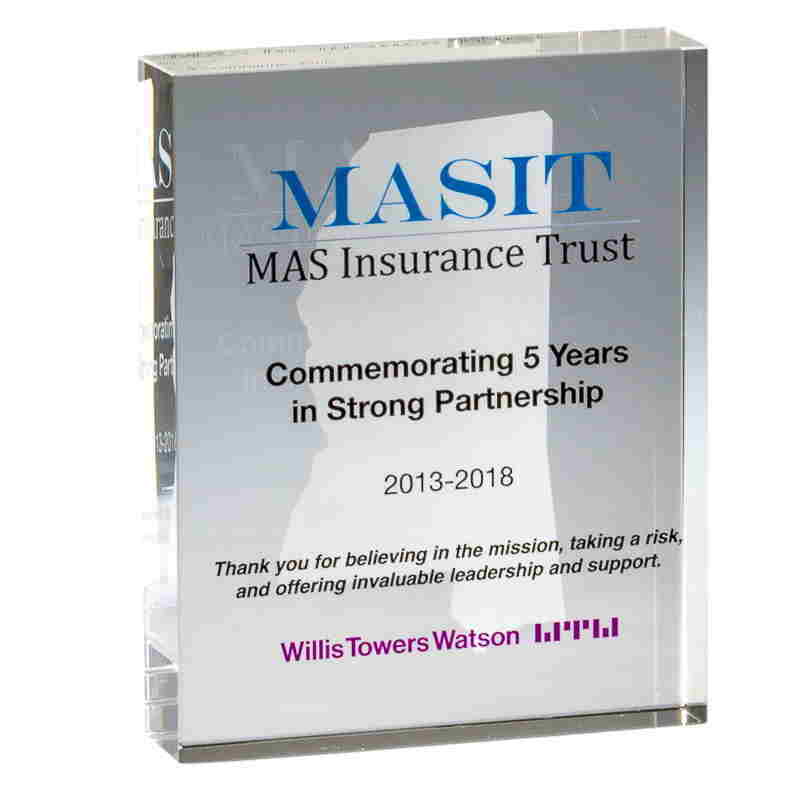 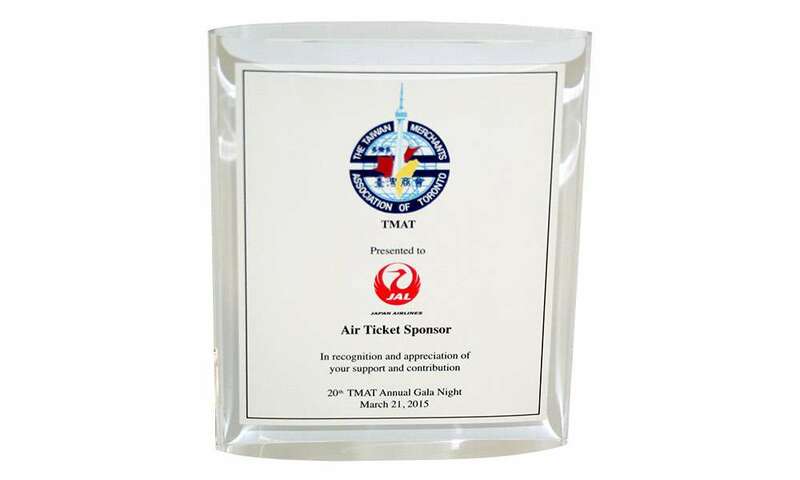 Custom Lucite given by law firm commemorating its advisory work on behalf of client Toyota. 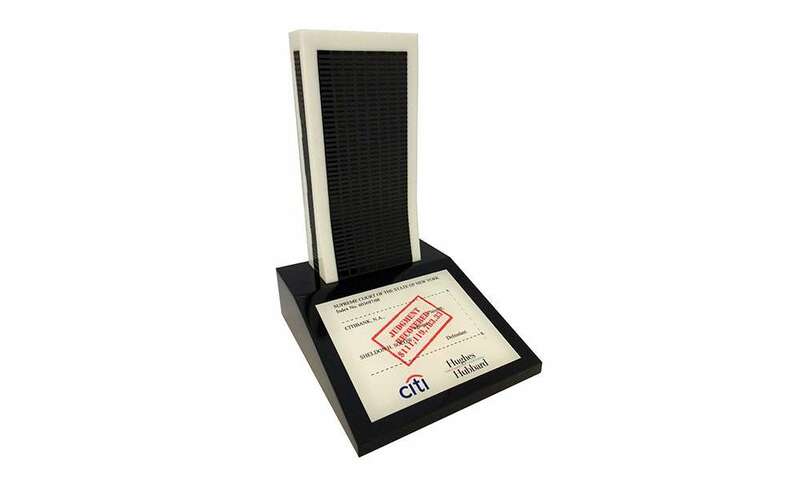 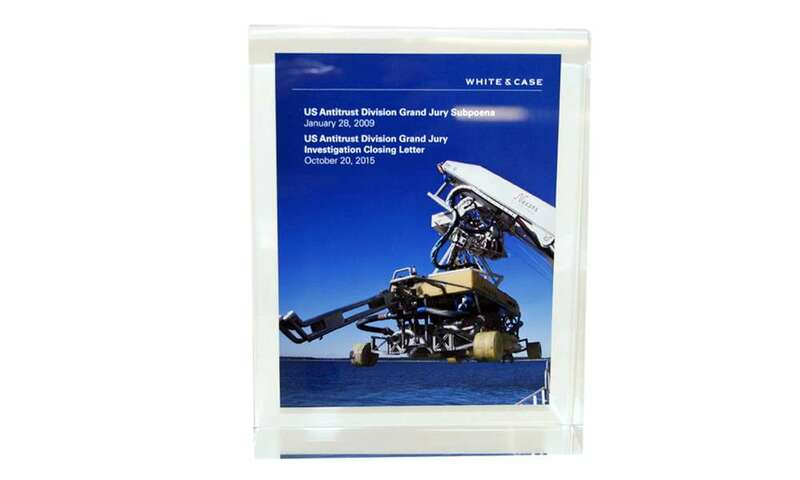 Skyscraper-themed custom acrylic award commemorating a favorable ruling in real estate litigation. 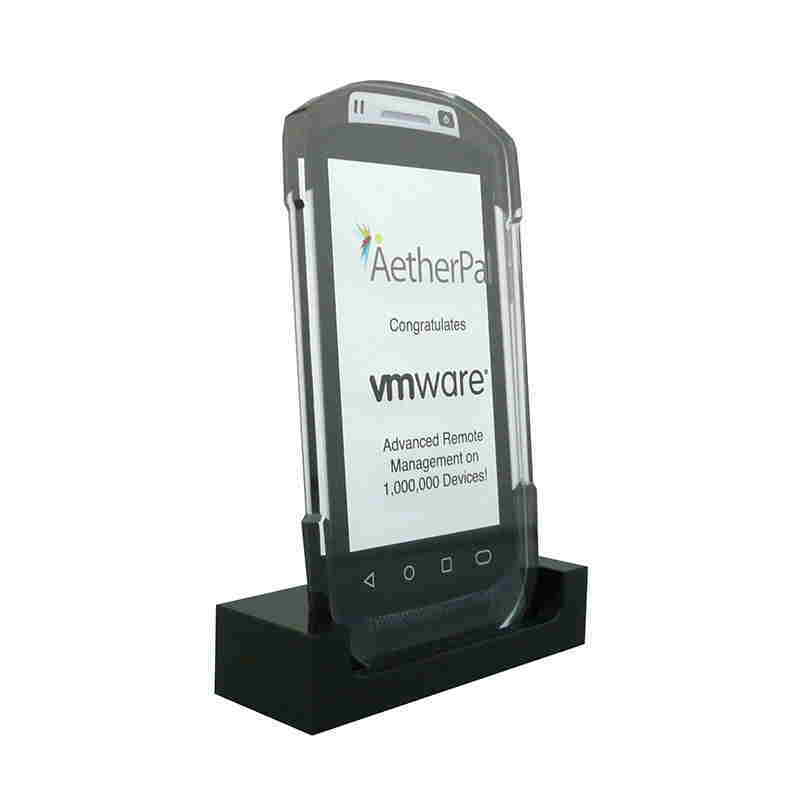 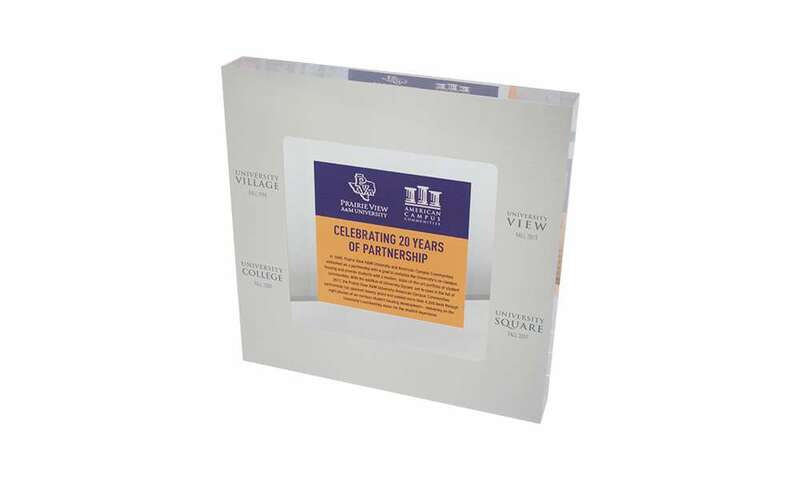 Custom Lucite client appreciation gift celebrating a 20-year client relationship with Prairie View A&M University. 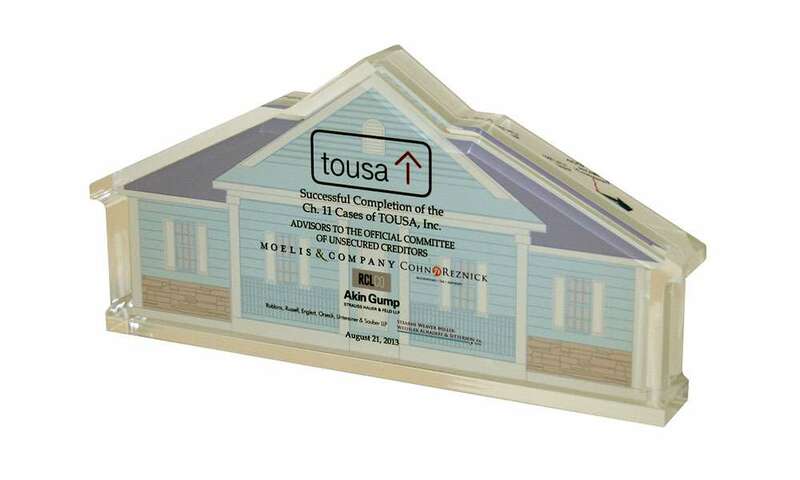 During that time the University has been a client of American Campus Communities, a developer and manager of student housing. 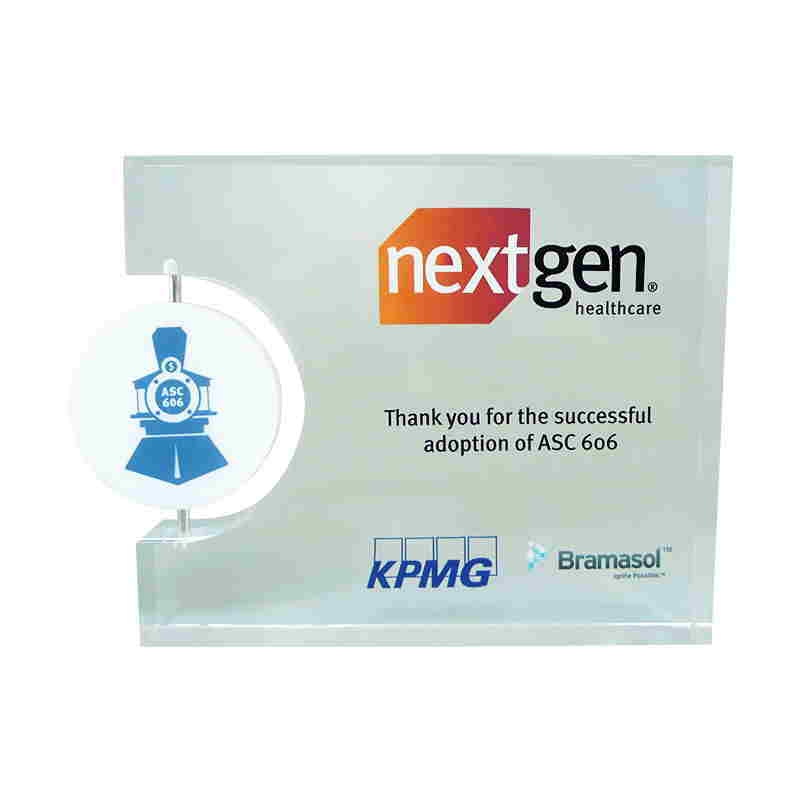 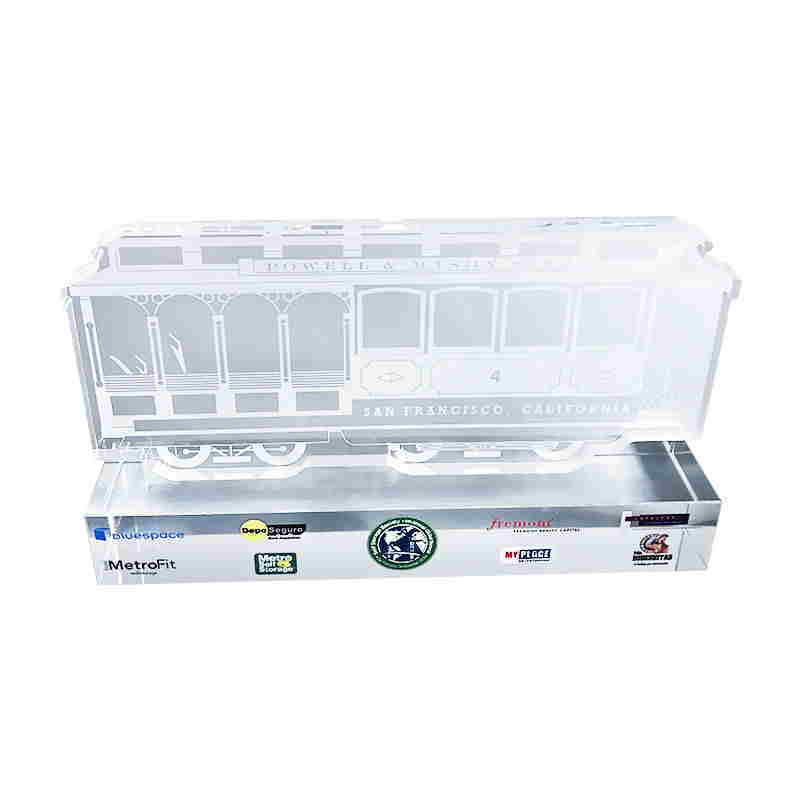 Custom acrylic client appreciation gift presented by public relations agency Hellerman Baretz to Levenfeld Pearlstein. 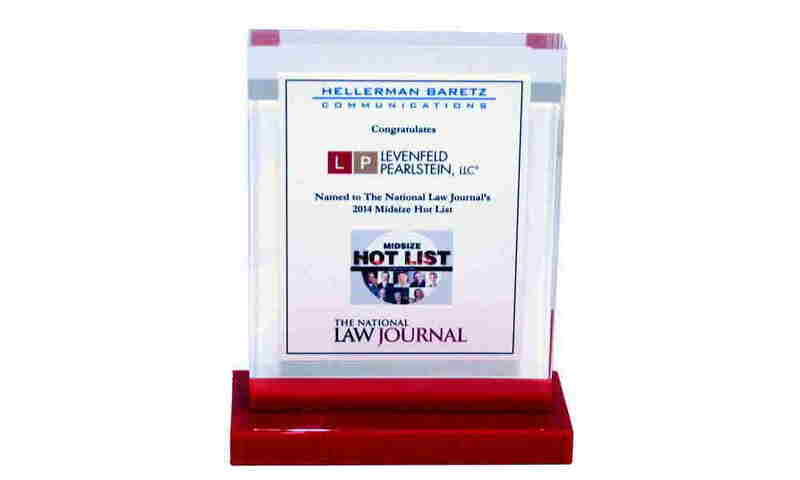 The piece commemorated the Chicago-based law firm's selection by the National Law Journal to its Midsize Hot List. 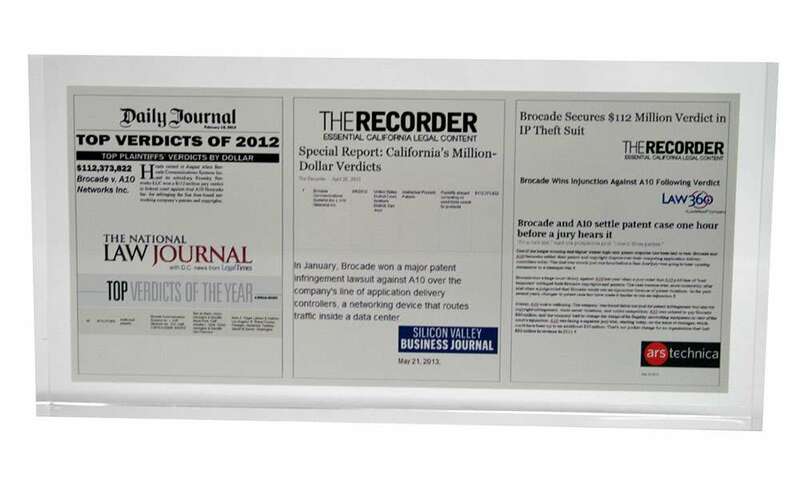 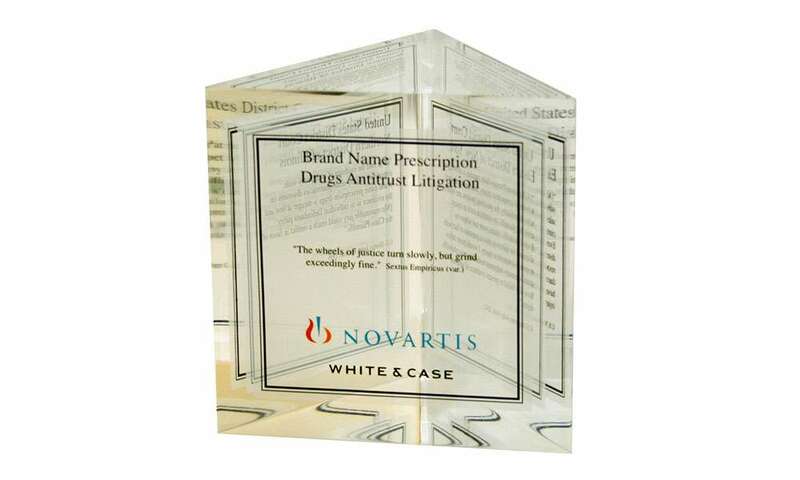 Custom Lucite commemorating a favorable verdict in a lawsuit. 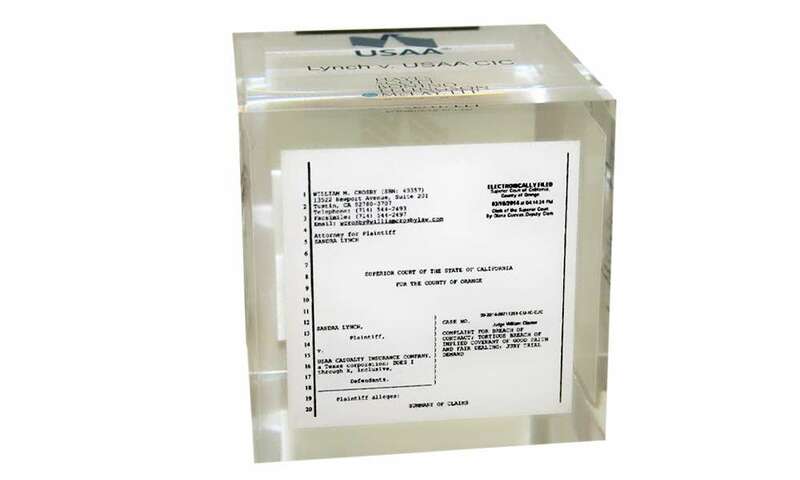 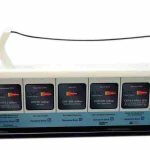 Custom acrylic marking a favorable legal ruling. 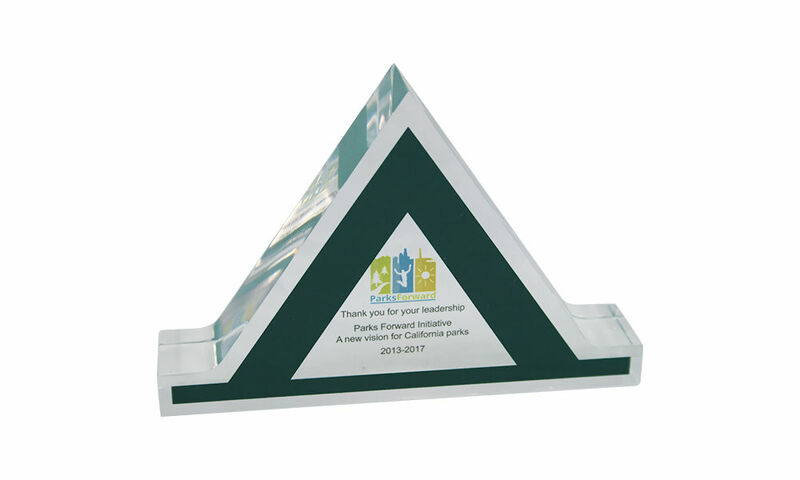 Custom crystal award presented by the California State Parks Foundation and recognizing leadership in the Parks Forward Initiative. 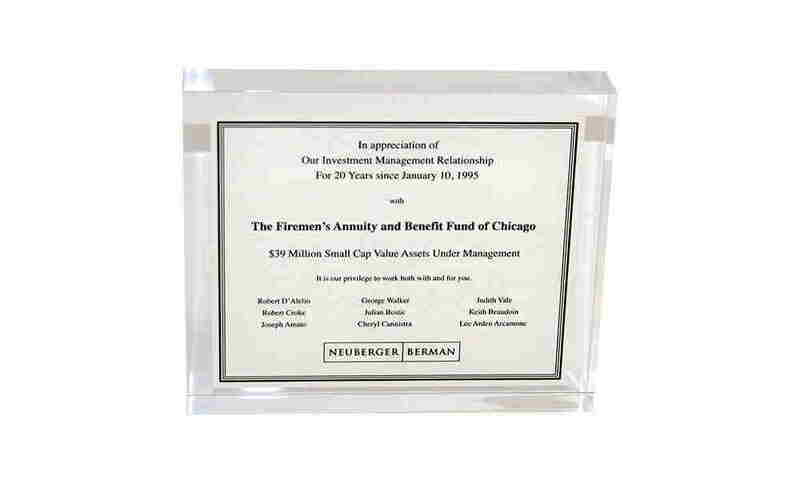 Custom Lucite client appreciation gift presented by Neuberger Berman to The Firemen's Annuity and Benefit Fund of Chicago. 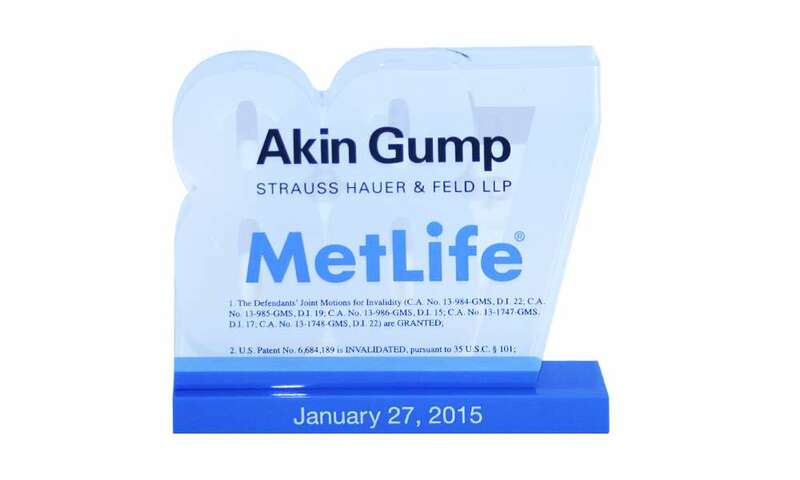 The piece commemorated the investment management firm's 20-year relationship with the pension fund.